Meet and greet by our representative at Bole int’l airport, then get transferred to the hotel. O/n Hotel. You will have an early breakfast and your first visit in Addis Ababa will be the National Museum. It houses numerous antiquarian relics and archaeological artifacts (most famous exhibit is the 3.5 million year old skeleton of Lucy). Then you will continue to visit Mount Entoto(3,200 above sea level. The Church of St Mary (1885) and Emperor Menelik II Palace. Entoto Museum, with its historical exhibits is well worth a visit. After lunch you will visit Trinity Cathedral. It was constructed by Emperor Haile Selassie in 1947 (ornamented with carvings and mosaic and other artistic works such as paintings of saints and the apostles on the stained glass) and visit Merkato, the largest open market in Africa. In the evening, you will have dinner at the hotel and you will rest. O/t Hotel. In the morning after breakfast, you will drive to Jimma (345 Km from Addis) via Woliso. On the way you will pass through beautiful landscapes as you drive through the Gibe River Valley. You will stop for lunch at Wolqite (160 Km from Addis). You will be arriving in Jimma afternoon and check into a hotel. Later, you can visit Jimma Museum and King Abba Jiffar Place. You will have dinner and spend the night at the hotel. O/t Hotel. In the morning, you will have breakfast and drive to Mizan Tefari (213 Km from Jimma). Continue your drive to Mizan Tefari via Bonga (the birth place of coffee). And upon arrival in Bonga (125km from Jimma), you will visit to a traditional Kaffa house and learn about the culture of the Kaffa people. You will have lunch at Bonga. Then you will be driven to MizanTeferi and check into a hotel. You will have dinner and spend the night at the hotel. O/t Hotel. After breakfast you will be driven to Tulgit . On the way visit the Bebeka Coffee Plantation (the largest coffee farm in Ethiopia), where they cultivate organic coffee beans as well as rubber trees. You can also learn about the coffee processing techniques. You will have lunch at Bebeka. Then you will be driven to Tulgit and you will be arriving in Tulgit late afternoon and stretch your tent for camping. Later, you can walk around the Surma village at Tulgit, where you can visit with the local Surma people. Also, if you’re lucky, see the Surma stick-fighting competition, known as Donga. Here, men from different local villages meet and compete against each other, winningthe respect of the maiden ladies in the crowd. You will have dinner and spend the night at camping. O/t camping. An early morning drive will take you to Kibish to visit the Surma tribe. The Surma women are known for their beatification rituals, in preparation for marriage: most women have their bottom teeth removed and their bottom lips pierced, then stretched, so as to allow insertion of a clay lip plate. O/t camping. After breakfast you will be driven back to Mizan Teferi. 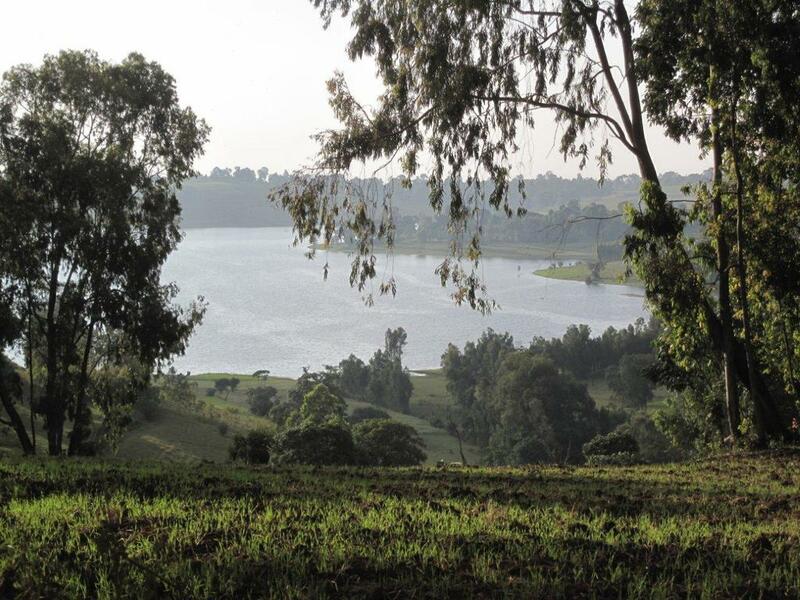 You will be arriving in Mizan Teferi late afternoon and check into a hotel. You will have dinner and spend the night at the hotel. O/t Hotel. An early morning drive will take you to Gambell. Continue driving from Mizan Teferi toGambela, through lush green landscape and wild coffee forest descend to into the steamy lowlands, home to Gambella. Y You will stop for lunch at Masha. You will be arriving in MizanTeferi late afternoon and check into a hotel. You will have dinner and spend the night at thehotel. O/n Hotel. after breakfast; you will drive to the Anuak village. These Nilotic peoples whose villages are scattered along the banks and rivers of southeastern Sudan and western Ethiopia, in the Gambela Region. The Agnuak people are herdsmen and famers. In the afternoon visit Nuervillage. 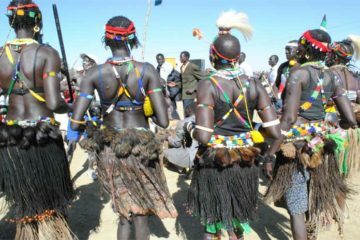 Nuer people, who live mostly in Southern Sudan, in the Upper Nile Province around the junction of the Nile River. The Nuer are tall and dark. You will have dinner and spend the night at the hotel. O/n Hotel. An early morning drive will take you to Gambella National Park; home to wonderful birdlife, & wild animals such as elephants, baboons, buffalo, lion, antelope, monkeys, and other antelope. Late in afternoon drive back to Gambela. You will have dinner and spend the night at the hotel.O/t in Hotel. After breakfast drive to Bedele then late in the afternoon visit Bedele Brewery Factory. Later, you can visit the Bedele brewery. O/n Hotel or guesthouse. In the morning, drive to Nekemt and be there late in the afternoon then visit Wollega Cultural museum, which gives you very good insight for Wollega Oromo culture. O/n hotel. start driving early in the morning to Ambo; on the way visit the Guder river Falls. 0/n Hotel. In the morning, you will have breakfast and drive to Addis Ababa via the Crater Lake of Wonchi. And upon arrival at Wonchi, visit the Crater Lake of Wonchi located at 3220 masl. You can go down to the Lake by car or horseback arranged by local communities. Then boat trip to the monastery St Stephan situate on Small Island. Lunch at Woliso then late in the afternoon arrive Addis Abeba and do some activities in the capital. Finally attend on a farewell dinner party then be transferred to Bole International Airport for your departure home. 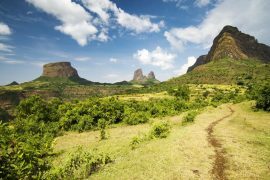 Aealemet Is an Ethiopian owned tour and car Rental Company, offering an outstanding service in the hospitality business established in 2005 by tourism professionals’ who have an extensive experience in the tour and travel services.